It’s a dried pulse (lentil, pea or various types of bean) which has been split. The outer hull is usually stripped off; dal that has not been hulled is described as chilka (skin), e.g. chilka urad dal, mung dal chilka.The word dal is also used to name the thick stew prepared from these pulses, an important part of Indian, Nepali, Pakistani, Sri Lankan and Bangladeshi cuisine. Dal is staple food eaten with rice and roti or chapati (wheat-based flat bread) throughout India, Pakistan, Bangladesh and Nepal where Dal Bhat (literally: dal and rice) is the staple food for much of the population. 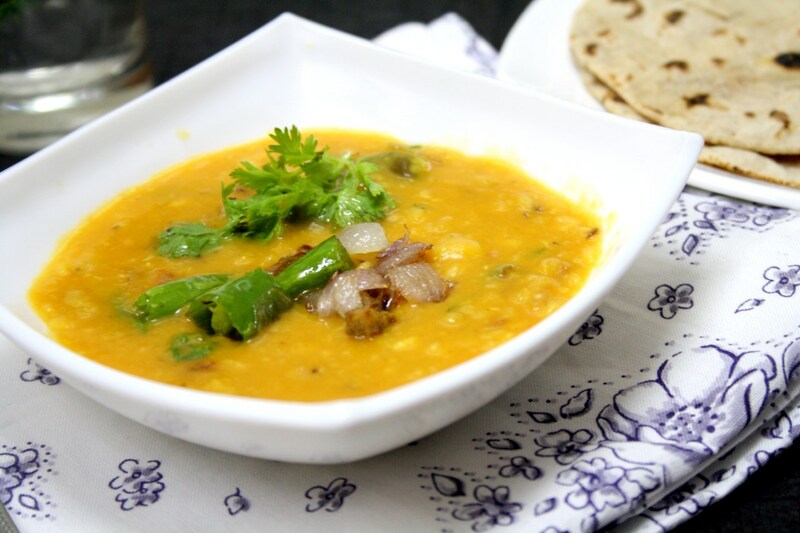 Dal is a ready source of proteins for a balanced diet containing no meat.